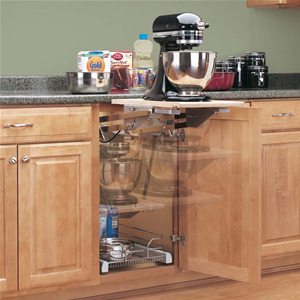 Rev-A-Shelf, RAS-ML-HDCR, Mixer Lift or Appliance Lift. Do you have a heavy-duty KitchenAid style mixer taking up valuable countertop space? 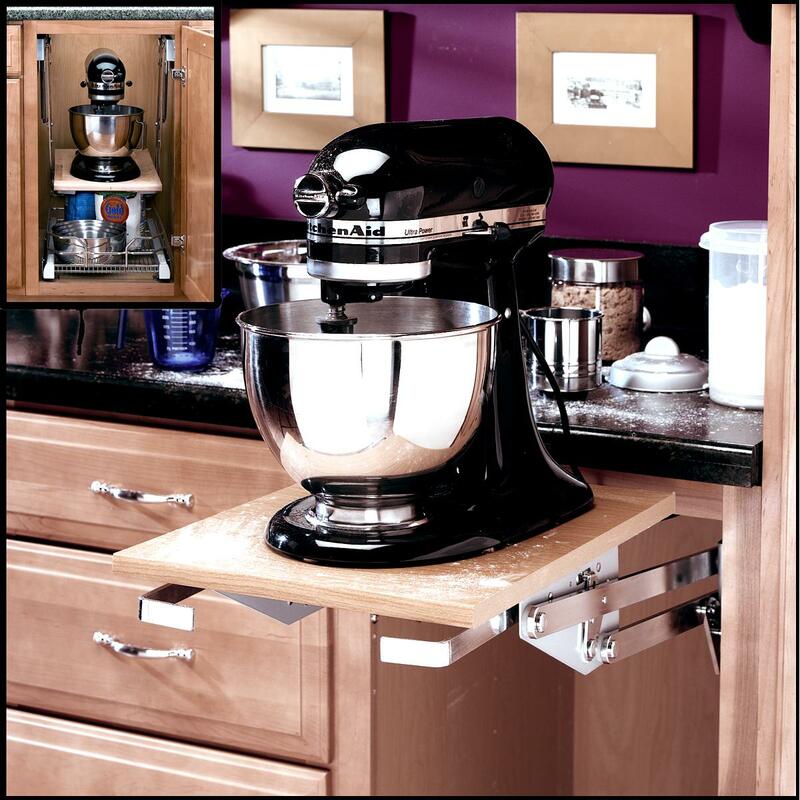 The Heavy Duty Mixer/Appliance lift is the ideal way to store and conceal small appliances or big KitchenAid Style Mixers when they are not in use. With an easy pull of the shelf, the heavy-duty lifting arms gracefully raise your mixer to counter top level, giving you the kitchen accessory you need in a matter of seconds. When you're finished, gently pull on the release levers and the lifting/lowering arms smoothly return the mixer back into your cabinet for convenient storage. The Rev-A-Shelf RAS-ML-HDCR also features built-in shock dampers, adjustable spring tension, and holds appliances up to 60 lbs. Release levers are powder coated to prevent etching from spills when mixer is in use. *Note* Weights over 45 lbs. requires considerably more effort to raise and lower. 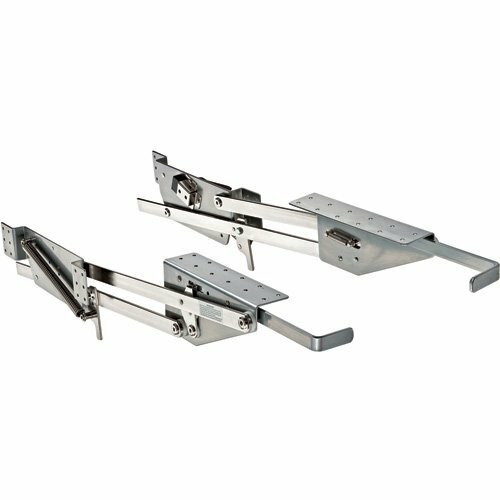 Can be used with many different widths with a minimum base cabinet frame opening of 12-1/2"
Does not come with KitchenAid Mixer or shelf. Pull-out wire basket/shelf sold separately. Features & Specifications of the Rev-A-Shelf, RAS-ML-HDCR, Chrome Heavy Duty Mixer Lift Or Appliance Lift. Release levers are powder coated to prevent etching from spills when mixer is in use. For all you fabulous cooks and bakers out there who are are addicted to your Heavy Duty Kitchen Mixer - We have the perfect solution for not only storing your mixer out of the way but also making it easier on your back with the RAS-ML-HDCR - Heavy Duty Mixer Lift. Once you have this item, you will wonder how you ever got along without it! This mixer lift unit, creates a way to store your mixer and easily lift it up out of your cabinet, without exerting any strain to your back everytime you want to use it. 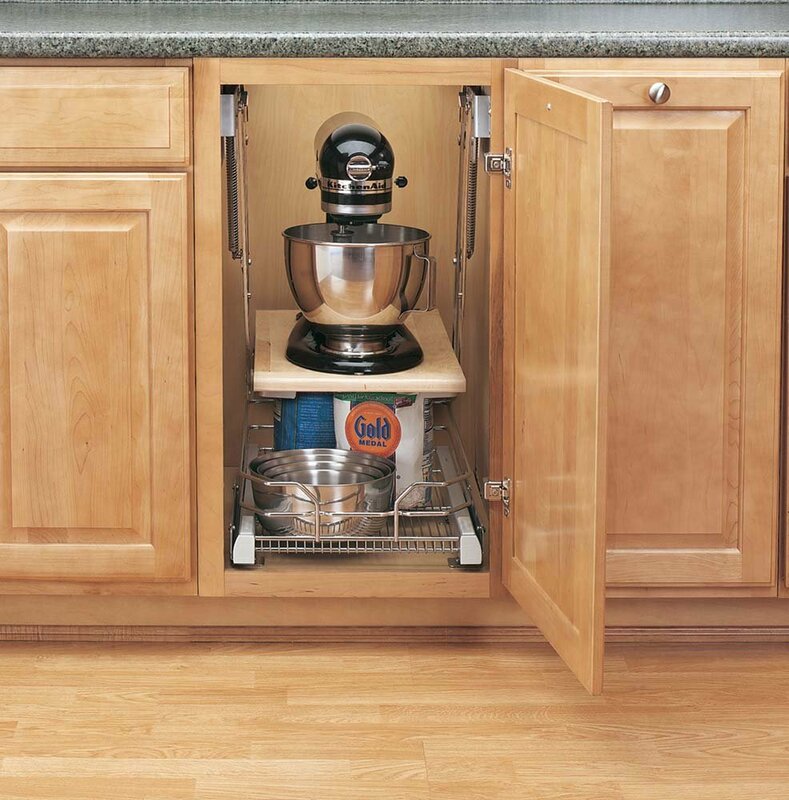 Plus, you get the added bonus of eliminating countertop clutter by neatly stowing your heavy duty mixer in your cabinet. No more lifting! Just open your cabinet door and let the lift system do all the work of bringing your mixer up to countertop height with a simple tug. 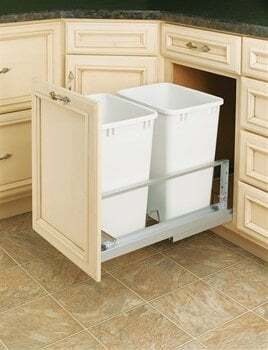 A great bonus to this item is that it can installed into any size width of cabinet. 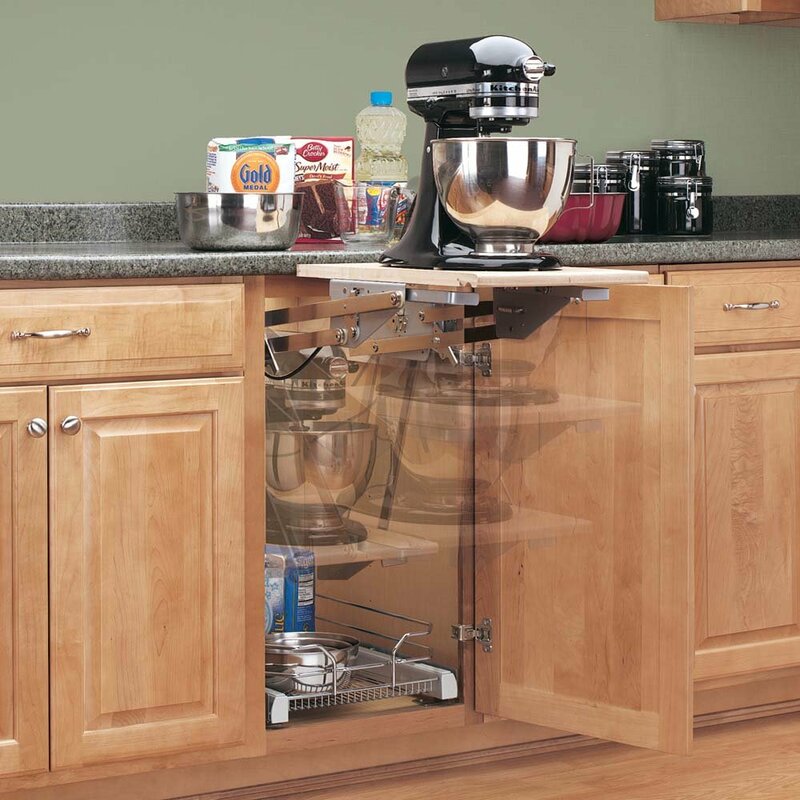 However, you cannot install the Rev-A-Shelf Mixer Lift into any cabinet that has a drawer. This unit generally requires a full-height cabinet. Don't forget - you will need to have a piece of wood cut to fit across the arms once the unit has been installed to serve as your shelf. This will allow you to match they type/color of wood you desire to match your cabinetry. All of the necessary specifications and instructions are listed under this product on our website at OVISonline.com if you would like to inquire about the measurements needed or any installation questions you may have.